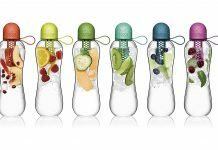 The idea behind the Sonicare water flosser /air flosser is cool, but most people seeking advanced flossing solutions would be better off looking at Waterpik water flossers. They tend to last longer and do a better job than the air flosser. Floss sure has come a long way, and the Philips Sonicare AirFloss Rechargeable Electric Flosser, HX8211/03 is a perfect example of that. 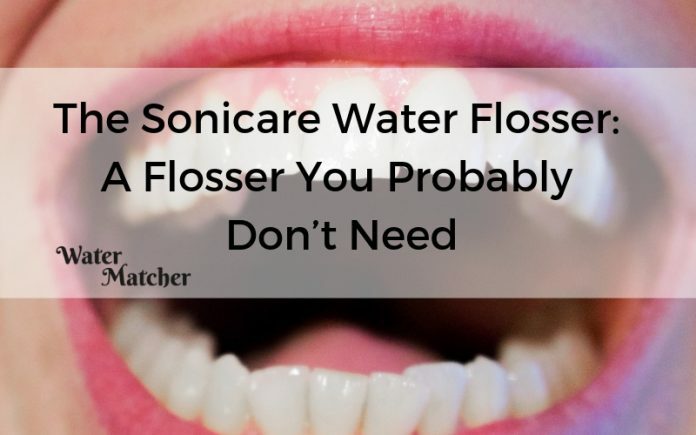 Also called the Sonicare water flosser or the Sonicare air flosser, it uses bursts of air plus microdroplets of water or mouthwash to clean between your teeth. Does it work well? How does it stack up against its competitors? Perhaps most importantly, can you throw away the floss that hides in your bathroom drawer most of the time? Is This Sonicare Water Flosser/Air Flosser Better Than String Floss? 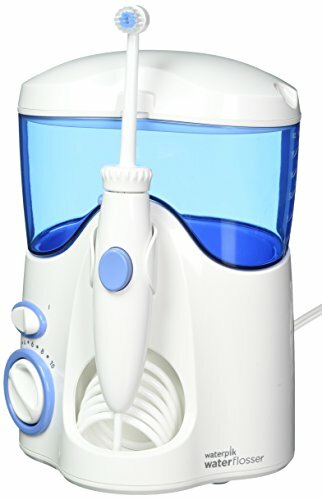 Is This Sonicare Water Flosser/Air Flosser Better Than Other Air/Water Flossers? 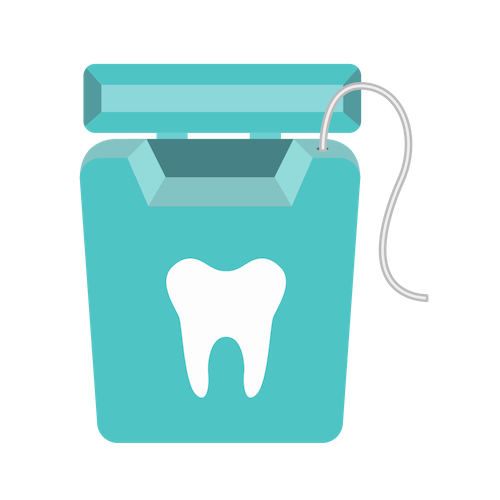 Floss in some form or the other has been necessary throughout the ages for humans. After all, when meat or vegetables get stuck in your teeth, you want them out, no matter which age you live in. The mouths of some prehistoric humans have grooves indicative of toothpick or floss use (perhaps with twigs as toothpicks and horse hair as floss). In the late 1880s, unwaxed silk floss entered mass production, and that general type of floss remains prevalent even today. Of course, many types of improvements have been sought. For example, people today can enjoy floss picks and flossing string made for sensitive teeth and sensitive gums. Getting even fancier, in the 1980s, an interdental brush was introduced to clean the spaces between teeth, and now there are water flossers and air flossers. The benefits of flossing for oral health and overall health have become even more apparent over time. Just brushing your teeth isn’t enough. Doing that would be akin to washing the outside of a glass while skipping the inside. Your teeth and tongue get attention with brushing, but there are lots of other places in your mouth that need tender loving care as well, which is where flossing comes in. 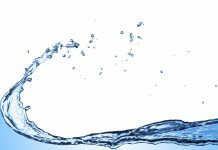 Water flossers and air flossers aren’t exactly the same thing, although the terms tend to be used interchangeably. As mentioned above, an air flosser, such as the Sonicare air flosser, uses streams of air with microdroplets of water or mouthwash. In comparison, water flossers such as the Waterpik Water Flosser use streams of water to floss. Philips Sonicare is a top name when it comes to electric toothbrushes, so it makes sense that the company would want to get involved in flossing. One of its flossing products is the Philips Sonicare AirFloss Rechargeable Electric Flosser, HX8211/03, which is available for $44.90 on Amazon as of this writing. For that price, you get a charger base, AirFloss handle and AirFloss nozzle. You can and should use it every day if possible, and this type of product may be especially useful if you are an irregular flosser. Maybe you’re forgetful or you don’t like to floss because it hurts your gums or makes them bleed. Philips Sonicare knows there are going to be doubters when it comes to such a thing as floss—come on, it’s floss! So, what’s up with this 30-second cleaning routine? Here’s how it goes. You pour mouthwash or water into the water reservoir that’s on the handle (there’s supposed to be enough space for two uses, according to product guidelines). Move the nozzle and guidance tip along the gum line. You should quickly find a groove between your teeth that it fits in. Press the activation button for one burst of air then move to another space. Alternatively, you can use auto-burst, and you’ll get a new burst of air automatically every second. The process might seem overwhelming, perhaps more so than regular flossing, but it’s easy to get used to. Based on a three-month test, Philips Sonicare says that 96 percent of people who flossed irregularly were now flossing at least four times weekly. The study cited ease of use and gentleness compared with string floss as top reasons for the increased usage. If you hardly ever floss because you forget to or don’t like to floss, then anything is better than nothing! That said, stay tuned because what will be revealed later about string floss might surprise you. From the power button to the pressure gauge, buttons, parts are easy to use even for those who may have limited movement in fingers and when fingers are wet. It is also noisy so could easily wake people up in the house if you decide to floss early in the morning or late at night. It feels like it has cleaned well without the harshness of traditional floss with clinically backed results. It requires mains power to work. The true question may be whether the flosser trumps its competitors. First, let’s look at other air flossers that Philips Sonicare offers. For example, there’s the Airfloss Ultra that features single, double or triple bursts of air and that costs only about $10 more than the AirFloss Rechargeable Electric Flosser, HX8211/03. Unfortunately, 42 percent of the Ultra’s reviews on Amazon are one-star reviews. The Ultra seems to stop working within a few months for many customers, and for the products that do last longer, the charge eventually seems to have a hard time holding and the flosser’s strength decreases. ​In comparison, 23 percent of the AirFloss Rechargeable Electric Flosser, HX8211/03 are one-star. It’s still a somewhat worrisome number but much better than the Ultra’s. Many of that 23 percent of reviews discuss the fact that the flosser stopped working within a few months or that the charge holds for just a few seconds. ​In fact, a good number of the four-star and five-star reviews mention the short lifespans of the flosser. However, the users were so impressed with their air flossers they bought new versions. Some people also complain that they run out of liquid before a flossing cycle is complete. On the more positive side, many users report improved gum health and a better, gentler flossing experience. There’s also the fact that Philips Sonicare has that 90-day offer if you’re leery of your air flosser breaking. 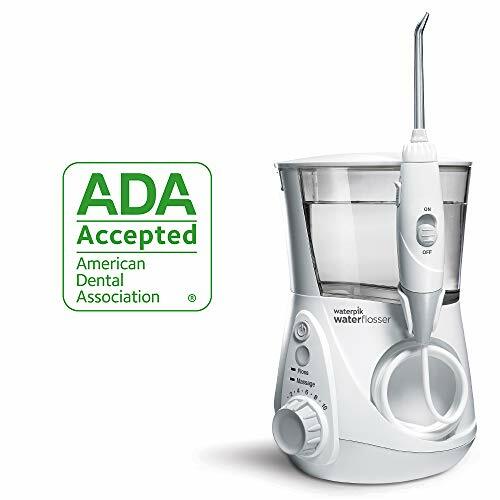 ​Now let’s look at the Waterpik ADA-accepted WP-660 Aquarius Water Flosser, a best seller on  Amazon at $59.99. It has more than 11,000 reviews, and only six percent are one star. These one-star reviews talk about motors that break within a half-year, mold and leaks. On the whole, though, customers love this product. 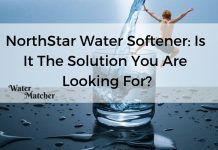 Among its features are 10 pressure settings, water capacity for 90 seconds and the ADA Seal of Acceptance. You use the on/off feature in the handle to control water flow, and the water jet pressure plus pulsations clean below your gumline and between your teeth—possibly even in areas that air floss can’t reach. So what it really comes down to is the factors you prioritize. With a water flosser, you take the risk it may leak if you don’t hold it the right way, and an air flosser can do its job in less time and takes up less space in your bathroom. Speaking of space, if you already have other Sonicare electric devices, you can use the same charger for them as for your air flosser (saves even more space). As for effectiveness: A 2012 study compared the WaterPik and the AirFlosser and found that the WaterPik was better for oral health. For example, the water flosser proved 70 percent better at reducing plaque and 80 percent better at reducing gingivitis. If you would find a water flosser cumbersome and would be more likely to use an air flosser, then you should go with the device that will encourage you to floss regularly. All things equal, Sonicare air flossers, including the AirFloss Rechargeable Electric Flosser HX8211/03, have some real flaws that should give many buyers pause. 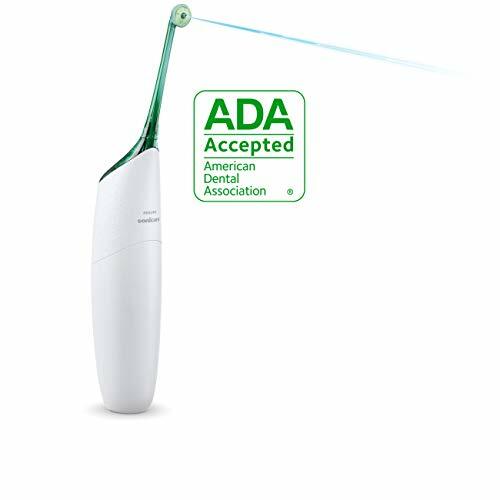 We’d recommend the Waterpik ADA-accepted WP-660 Aquarius Water Flosser instead. After all, many folks want their flossers to clean as effectively as possible. The Waterpik cleans noticeably better than the Sonicare, and it’s much less likely to break down within a few months. Wait…we’re not done yet. Stick around for a plot twist that you may or may not have seen coming! Pat yourself on the back if you thought we were going to recommend that you don’t ditch the string floss just yet. That’s exactly our recommendation. In fact, organizations such as the Mayo Clinic recommend that you couple string floss with your Waterpik use. Why? String floss can actually remove bacteria while water floss may simply rinse it. That said, Waterpik use is still recommended because these flossers are gentler on the gums and can dislodge bacteria in places that string floss can’t reach, such as behind braces and, for people with gum disease, in the deep pockets formed where their gums separated from their teeth. Wow. Your routine just got a lot more complicated, and you were hoping to simplify it. If you wear braces, have problems with gum sensitivity or already have gum disease, then the extra time is probably worth it. If you don’t? Maybe stick with just string floss or alternate your flossing sessions between string floss and the Waterpik. If you have the time and willingness to use both, great. The reality is that the information out there is complicated and often contradictory. 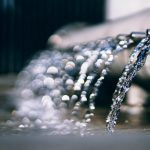 Even when you go to the dentist’s office, the dentist uses jets of water and not string floss to clean between your teeth. Some studies say string flossing is better and that the Waterpik shouldn’t be used as a substitute. Other research says that the Waterpik performs sufficiently on its own. If you can’t afford a water flosser (or an air flosser, for that matter), you’re probably just fine with your old-fashioned string floss. Just remember to floss once a day if you can. Also, brush twice to maximize effectiveness. You have a hard time using string floss properly. You often forget to floss with string floss. You have a condition such as braces, sensitive gums or gum disease that makes it hard for string floss to do its job. Other people in your household would like to use the fancy advanced flosser. Then use both string flossing and water flossing, both in the same timeframe if possible. If not, alternate flossing sessions with each. With all of this talk about flossing and whatnot, it’s easy to overlook a key reminder: Get to a dentist at least once a year. Regular checkups are important to keep tartar, plaque and bacteria in check. For example, once bacteria has turned into tartar, you can’t rely on flossing and brushing to get rid of it. A dental pro will have to remove it. There’s only so much flossing can do right now—maybe in 100 years, it’ll be a different story. Now you have the details about the Sonicare water flosser. It's up to you to decide if you will buy one or not. 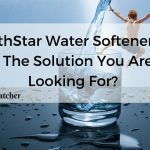 Previous articleMenards Water Softener Review: Which One Should You Choose?